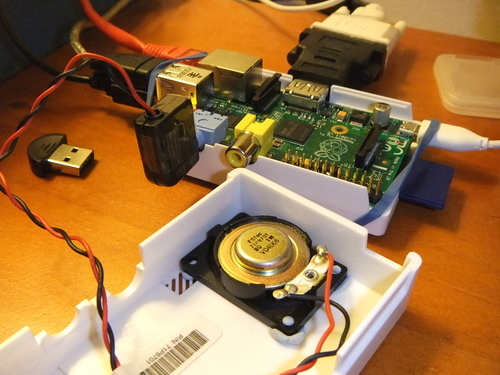 Raspberry Pi: Initial Setup - jxeeno blog. My Raspberry Pi arrived at the start of this week. It is now Friday, and it's time to get some pictures up of my setup and give my first impressions. Most of my setup is pretty simple. 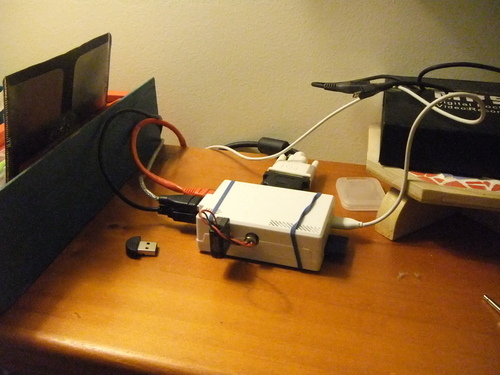 I have a HDMI to DVI-D adapter to connect to my monitor, a USB charger and a Kindle Micro-USB cable for power, a Class 4 SDHC 4GB card, an extension USB cable connected to a hub on my desk and finally, a mouse connected directly to the Pi itself. The only part I've left out is the networking — as that's a little more complex. 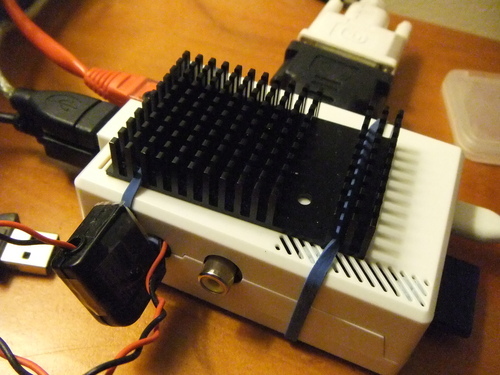 As you can see, there is also a loopback cable for the audio jack port. This because I had installed a speaker on the outer case for integrated sound. The sound volume is pretty soft at the moment, but it certainly makes for a great study-background music device! In terms of getting the device running, it was pretty easy. 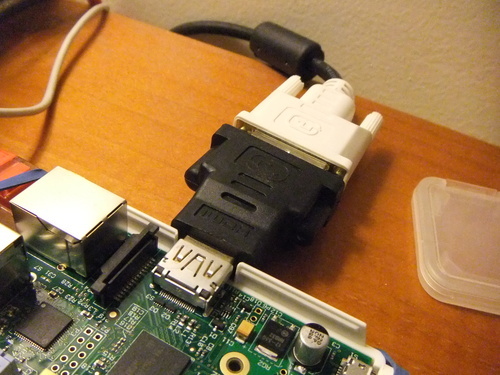 Simply flashed the Raspbian image onto my SD card and plugged in the power. 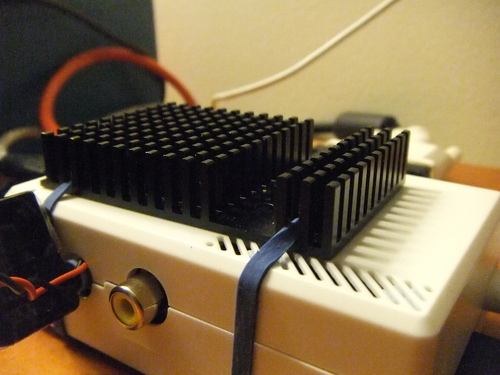 After logging in pi:raspberry, run sudo rpi-config and overclock. Reboot and done! Unfortunately, my room does not have any LAN connection. Our study has a 4-port modem/router and most devices are connected via WLAN. 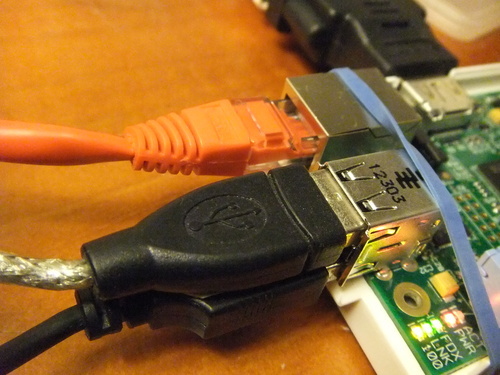 I didn't purchase a WLAN card for my Raspberry Pi — so, I had to resort to bridging from my Pi to my laptop through a cross-over cable (notice it's red). 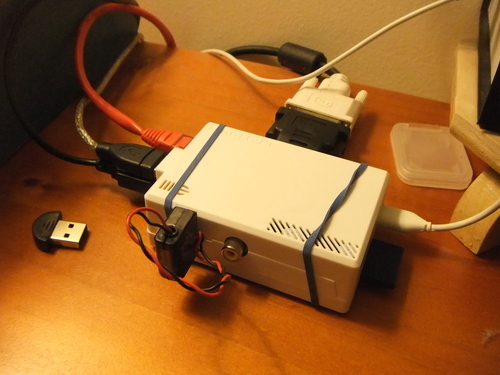 After a simple bridge created on Windows' Network Connection and a static IP, my Pi was connected to the internet! I'm using my Pi as a thin-client to my Amazon EC2 via RDP. It is pretty quick and responsive (overclocked to 1Ghz in Turbo Mode). I'll have a more detailed step-by-step tutorial of my setup in 2 weeks time — together with my unboxing video.